All SOLANA homes currently listed for sale in Gilbert as of 04/19/2019 are shown below. You can change the search criteria at any time by pressing the 'Change Search' button below. 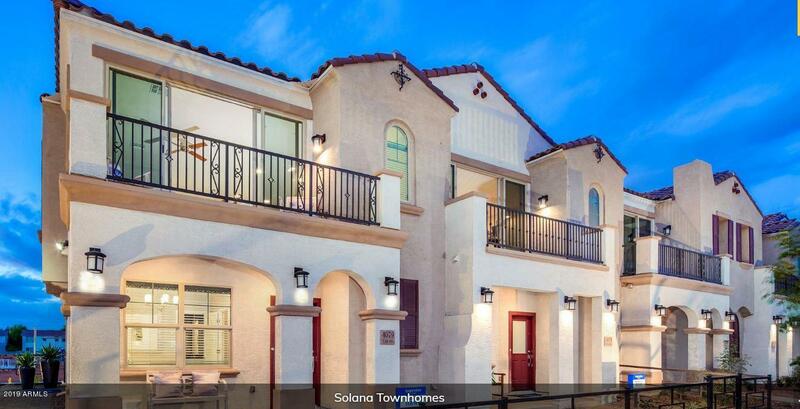 "Discover new townhomes for sale in Inspiration at Solana, a new home community conveniently located in the desirable Gilbert area. This five-plex townhome neighborhood showcases striking Spanish architectural detailing for a beautiful streetscape view. Choose between two floorplans boasting three bedrooms, two bathrooms and two-car garage on approximately 1,309 square feet of living space. Designed with the modern homeshopper in mind, these homes feature an open-concept layout that connect the k"